The Office of Inspector General (“OIG”) of the U.S. Department of Health and Human Services issued Advisory Opinion No. 18-03 in support of an arrangement where a federally qualified health center look-alike (the “Provider”) would donate free information technology-related equipment and services to a county health clinic (the “County Clinic”) to facilitate telemedicine encounters with the County Clinic’s patients (the “Proposed Arrangement”). 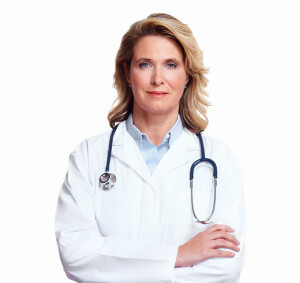 The OIG concluded that although the Proposed Arrangement could potentially generate prohibited remuneration under the federal Anti-Kickback Statute (“AKS”) and Civil Monetary Penalties Law (“CMPL”) with the requisite intent to induce or reward referrals of federal health care programs, the OIG would exercise its discretion and not sanction the Provider or the County Clinic (collectively the “Requestors”). The OIG’s analysis and conclusion of the Proposed Arrangement provides new insight into the government’s position on these type of donations that facilitate telemedicine encounters. Specifically, how the government views these type of donations with the continued expansion of coverage and reimbursement of telemedicine services under federal health care programs. The Advisory Opinion indicates support for the development of collaborative telemedicine affiliations and that the potential remuneration from the future referrals can be outweighed by the access to health care services and benefits actually received by rural or remote communities. The County Clinic is a division of the County Department of Health that furnishes certain confidential sexually transmitted infection testing, treatment and counseling. The Provider has an existing referral relationship with the County Clinic but the facilities are separated by about 80 miles making it difficult for patients to access the Provider. Under the Proposed Arrangement, the Provider would donate information technology-related equipment and services to the County Clinic to facilitate telemedicine encounters between the Provider and the County Clinic’s patients for certain HIV prevention and treatment services. The Provider would cover the costs of the equipment, its set up, and maintenance through grant-funding from the State Department of Health. 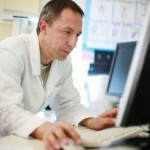 The Provider would bill the Medicare program for the professional services delivered in the telemedicine encounters. The County Clinic would house the equipment and bill the state Medicaid program an originating site fee related to the telemedicine encounters. The originating site is not required to provide any personnel or equipment in order to bill for the facility fee (Q3014) (which is only a coverage requirement to provide the telehealth consult). It is important to keep in mind that under the Proposed Arrangement the County Clinic would not obtain ownership of the equipment, as the Provider would use grant funds awarded by the State Department of Health to cover the costs of the equipment and services and the state agency would retain title and have the authority to recover the equipment at any time. This could prove to be an important distinction concerning whether and how donating providers can provide information technology-related equipment and services to referring facilities in the other arrangements. In prior Advisory Opinions (99-14, 04-07 and 11-12) concerning donations of information technology-related equipment and supplies, the OIG similarly concluded that it would not pursue sanctions; however, those proposed arrangements would not have directly resulted in a service payable by a federal health care program, but rather would only potentially result in other items or services to the patient by the donating provider. Under the Proposed Arrangement, both the County Clinic and the Provider would be in a position to submit claims to a federal health care program as a result of the telemedicine encounter and follow-up services. Nevertheless, the OIG concluded that there would be no increased cost to any federal health care program because the County Clinic would have performed the preliminary tests and referred clinically appropriate patients for in-person consultations and, potentially, follow-up items and services regardless of the Proposed Arrangement. While the analysis acknowledges the additional reimbursement the County Clinic would receive for serving as the originating site (i.e., the location of the Medicaid beneficiary when the service furnished via a telecommunications system occurs), there is no actual analysis of this facility fee and why it is not considered an increased cost. To be clear, the County Clinic does not provide the HIV preventative services to be delivered by the Provider via the telemedicine consultation, and therefore, would not have previously received any payments if and when the patient was referred to the Provider for an in-person consultation. Again, it appears that the OIG is willing to prioritize the health benefits to patients over any secondary or tertiary benefits to the referring provider; especially when such subsequent benefits are unlikely to result in over-utilization and have the potential to decrease costs to federal health care programs. The Department of Justice recently announced the guilty plea of two individual alcohol and substance abuse treatment center owners for their participation in what DOJ labeled a “multi-million dollar health care fraud and money laundering scheme.” The two individuals owned a licensed substance abuse service provider (or treatment center) offering clinical treatment services for persons suffering from alcohol and drug addiction. The treatment center also offered medication-based treatment for opioid addiction. 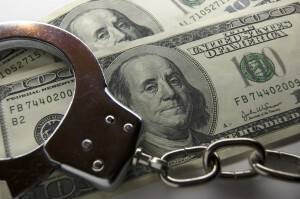 The government had accused the two owners of paying illegal kickbacks/bribes to “sober homes” in exchange for the referral of the sober homes’ insured residents to treatment program. The sober homes provided safe and drug-free residences for individuals suffering from drug and alcohol addiction. This made them a prime source of potential referrals to the treatment program. Providing funds used to purchase or rent several sober home properties under purchase agreements or leases that were in the names of other parties so as to disguise the source of funds. Paying remuneration for referrals in the form of free or reduced rent, insurance premium payments, and other benefits to individuals with insurance who agreed to reside at the sober homes and attend drug treatment. Using a separate entity to pay insurance premiums for treatment patients so that the treatment program could continue to bill the patients’ insurance companies for treatment expenses. Hiring a doctor to serve as the medical director who frequently pre-signed prescriptions that were used to dispense controlled substances. Continuing to employ the medical director after the doctor’s license was suspended. Failing to inform the Florida Department of Children and Families that it could not continue to operate when the treatment center lost the medical director. Submitting insurance claims that falsely stated that testing and treatment was medically necessary. If the allegations made by the government are to be believed, the treatment center is an illustration of exactly what intentional fraud looks like. This was not a mistake. Rather, it appears that the defendants deliberately set up a system intended to generate referrals and providing financial benefits to individuals in a position to make or influence those referrals. In short, this is what health care fraud looks like. 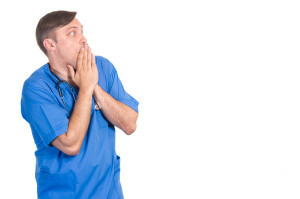 Providers that we deal with go to great lengths just to make certain that they proactively look for potential risk areas and take affirmative and proactive actions to be certain that they are not making mistakes that could inadvertently result in an overpayment or imputed knowledge. 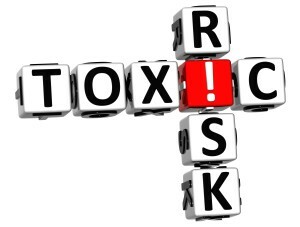 A great deal of expense goes into assuring that these providers are in complete compliance. By contrast, cases like the one involving these treatment programs illustrate the very reason why well providers with the best of intentions find it necessary to look over their shoulders. A company will pay around $2 million to settle allegations of making false claims to Medicare for Breast Cancer Index (BCI) tests that were alleged to be not reasonable and necessary for the diagnosis and treatment of breast cancer. The government accused the company of knowingly promoting and performing BCI testing for breast cancer patients who had not been in remission for five years and who had not been taking tamoxifen. The government alleged that performing BCI testing under these circumstances was not reasonable and necessary based on published clinical trial data and clinical practice guidelines. This case highlights the need to assure that there is clinical support for providing and billing for services. In this case, the government took the position that patients who did not meet certain criteria would not benefit from the BCI testing. 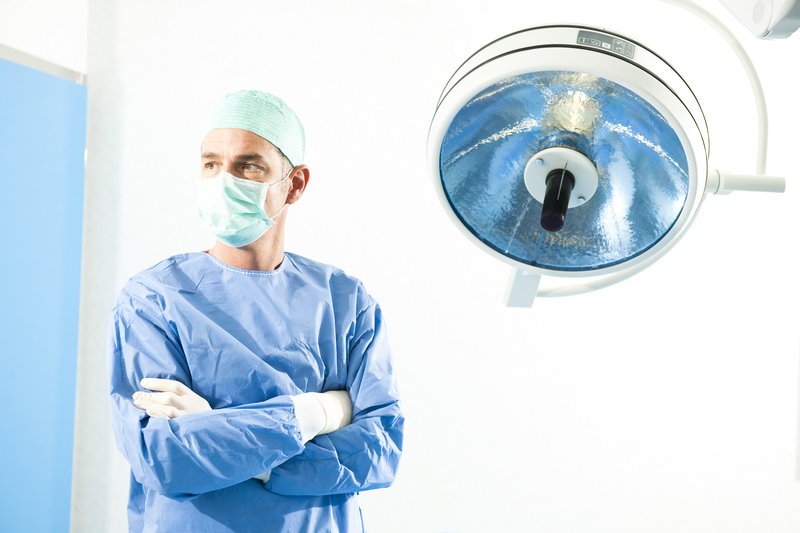 Unnecessary Inpatient Admissions – Hospital Fraud Settlement. An $18 million settlement was agreed by a hospital chain after allegations that claims were submitted to Medicare for patients who were admitted to an inpatient facility when they allegedly could have been treated on a less costly outpatient basis. 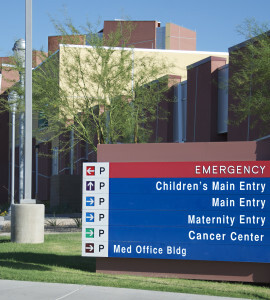 The government alleged that the hospital system billed Medicare for short-stay, inpatient procedures that should have been billed on a less costly outpatient basis. The government also accused the hospital system of inflating reports to Medicare regarding the number of hours of outpatient observation care that was provided. This is a fairly typical case where the allegation involved billing for services that were of a higher level than required by the patient. In effect, the excess services are deemed to be medically unnecessary. In this case, the services involved inpatient admissions that the government alleged could have been taken care of in a less costly outpatient setting. A former employee was the whistleblower in the case and walks away with over $3.25 million from the settlement. One of the reasons why compliance officers and health care attorneys read fraud settlements is to identify the issues that the government is focused on. The cases that the government decides to pursue are very indicative of the areas of fraud enforcement that they feel are important. These are not the only issues that should be considered, but government enforcement actions certainly tell us what types of arrangements the government considers important. The misfortune of the defendants involved in these cases hold a potential learning experience for everyone else. Others have an opportunity to focus on their own operations to identify whether they are at risk in any of the areas involved in these cases. An ancillary lesson that these settlements hold is that each was initially raised by a whistleblower. The False Claims Act gives whistleblowers a portion of the settlement in cases where the government decides to intervene. This in effect creates a universe of potential claimants that can include almost anyone with original knowledge of the alleged practice. Common whistleblowers include former or disgruntled employees. It really does not matter of the employee is or was the worst employee in the world, they can still bring an action as a whistleblower. Not only are they protected by a host of laws, they can also profit greatly if the claim is eventually decided in their favor. Whistleblowers often receive awards in the millions of dollars. This makes the area ripe for plaintiff’s attorneys who often take these cases on a contingency fee basis. This makes it a relatively low-cost proposition for a whistleblower to bring a case forward, at least from the perspective of attorney fees. Overprescribing Opioids Without Demonstrated Medical Justification. A settlement was recently announced by the Department of Justice that symbolizes another use of fraud enforcement by the government to combat the opioid epidemic. Providers need to take notice of these enforcement actions as they indicate opioid related issues as significant compliance risk areas. The government alleged that a chiropractor billed Medicare and a state Medicaid program improperly for painkillers, including Opioids. The case involved four managed pain clinics, all which were closed through the course of the case. The settlement also required a nurse practitioner to pay $32,000 and surrender her DEA registration to settle allegations that she violated the Controlled Substances Act. The Department of Justice issued a press release announcing the settlement that directly comments on the opioid issues involved in the case, leaving no ambiguity about what the government is up to. The quotations are not part of the normal “canned” statements that are normally included in these settlements. Every indication is that the opioid related language might be adopted a standard form as the government focuses in on these cases. The government alleged that the defendants prescribed painkillers and caused pharmacy claims to be submitted where there was no legitimate medical purpose for the prescriptions. Additionally, the government alleged that the clinics up-coded and billed Medicare for office visits that were not reimbursable at the levels sought. In a demonstration of the commitment that the government has in this area, the clinics were also accused of billing for nurse practitioner services that were provided without the required collaboration arrangement in place. The case was initially brought forward by a former office manager turned whistleblower who is set to earn $246,500 under the settlement. 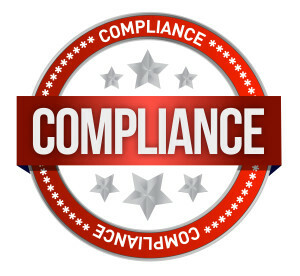 At a recent Health Care Compliance Association (HCCA) compliance institute, the Office of Inspector General announced it had launched a new resource portal focused on compliance issues. A trip to the OIG’s web site, and sure enough, there is a brand spankin’ new compliance portal. You can check out the portal at OIG Portal. On first brush through the portal, it appears most of the items that are accessible already existed prior to the launch of the portal. The portal creates some organization that did not previously exist to guide providers to various compliance resources the OIG has made available. This is a site that compliance officers will want to have bookmarked in their browser. We are likely to see new developments in compliance posted on the portal. For example, it already references a toolkit on identification of opioid misuse risk will be coming soon to the portal. When you get a chance, check out the new OIG resource and the tools that are available on the site. It is definitely something with which people in compliance should have familiarity. 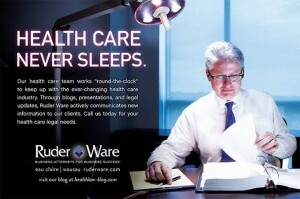 As usual, if you have any questions regarding compliance or other health care legal issues, please don’t hesitate to contact your Ruder Ware health care attorney. A medical office recently settled with OCR after it allegedly disclosed a patient’s HIV status when the office mistakenly faxed medical records to the patient’s place of employment instead of to the patient’s new health care provider. The employee responsible for the disclosure received a written disciplinary warning, and both the employee and the physician apologized to the patient. To resolve this matter, OCR also required the practice to revise the office’s fax cover page to underscore a confidential communication for the intended recipient. The office informed all its employees of the incident and counseled staff on proper faxing procedures. Two things pop about about this instance. First, this was clearly a privacy violation. 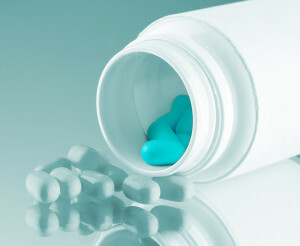 The patient’s protected health information, which incidentally revealed his or her HIV status, we sent to the employer. Secondly, it was evident from the facts that this was a mistake. We aren’t told exactly how this mistake was made. Was the fax number written down in the wrong box on the patient’s records? Did the employee who faxed the records put the incorrect number on the fax cover sheet? We may never know. But this does raise the importance of being precise at all stages of the patient encounter to assure that no inadvertent violations occur. Care you should be taken when information about the patient is initially entered into the system. Individuals at all levels who may be responsible for transmitting PHI must be deliberate about their actions. How many people have called or faxed something to the wrong person before? How many people have written down the wrong telephone or fax number before? Everyone? This OCR settlement just illustrates that sometimes these small errors can have big implications. It does not appear to have been any significant fines or loss of employment in this situation. But we cannot downplay the potential embarrassment or other negative consequences of mistakes like these. It is one thing to text your friend Bob rather than your friend Bobbie, and weirdly from Bob’s perspective say how wonderful last night was and how you can’t wait to see him again. Telling a patient’s employer about their health condition can have consequences that are much harder to laugh off. You are currently browsing the archives for the Compliance Programs category.